Iced with buttercream. 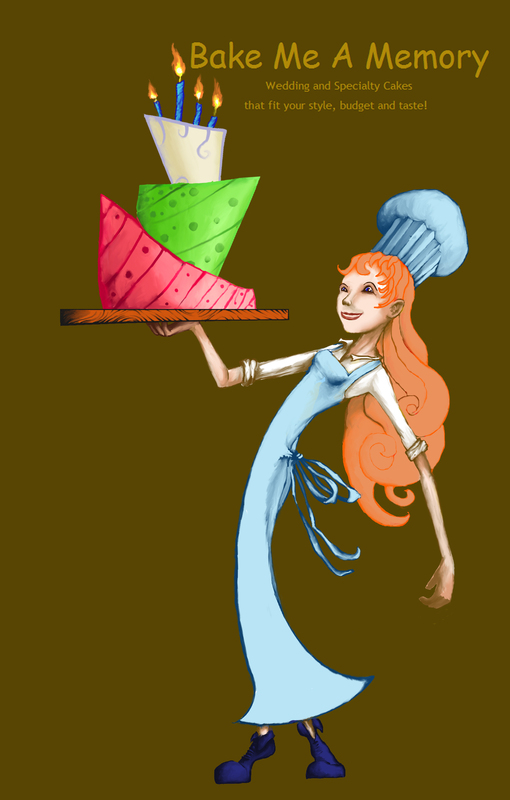 Covered in fondant and decorated with fondant, buttercream, sprinkles, and luster dust. Iced with buttercream. 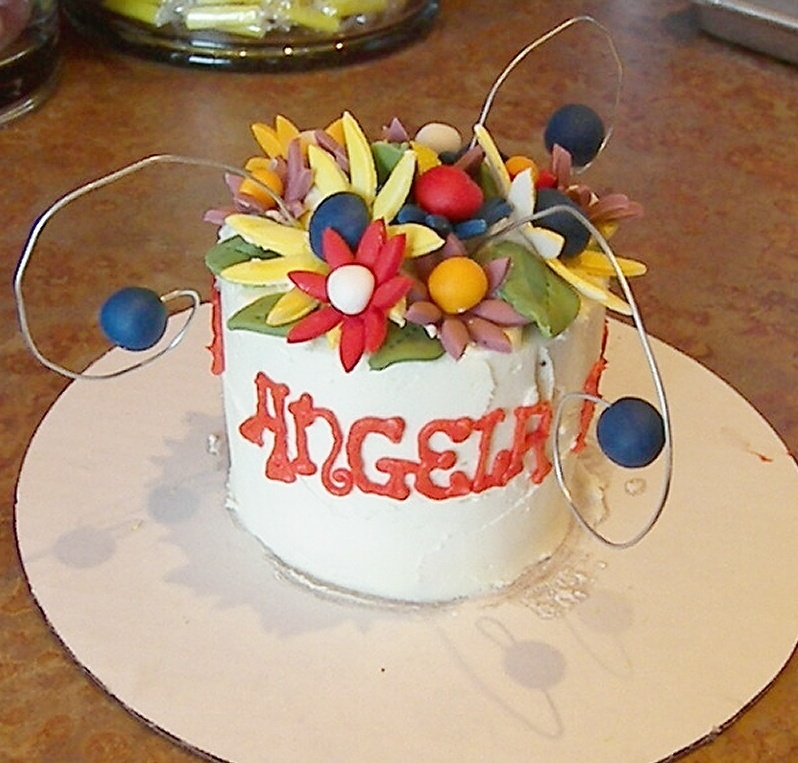 Decorated with buttercream and/or fondant. 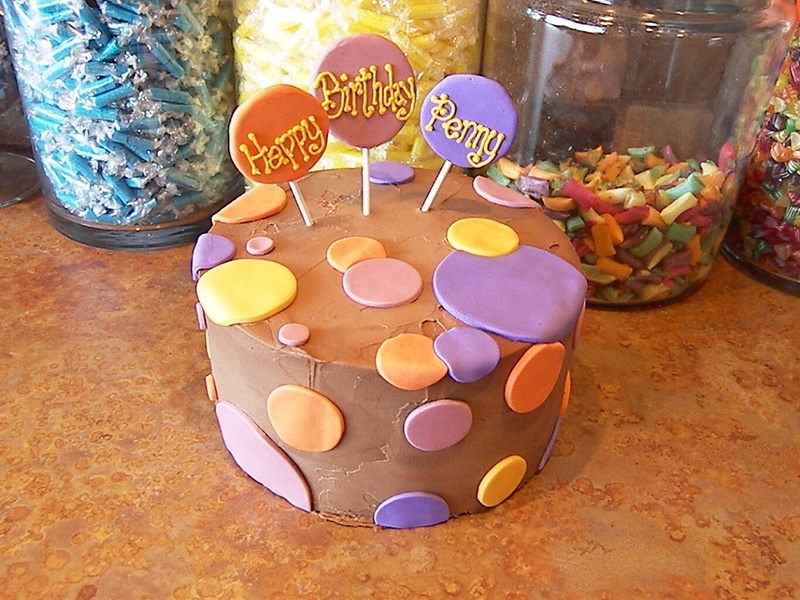 Iced with chocolate buttercream, then covered with a chocolate shell containing white chocolate dots. Chocolate curls, swirls, and plague saying "happy birthday Mom" on top of cake. Iced with buttercream. Decorated with fondant, buttercream, and sprinkles. Iced with chocolate. 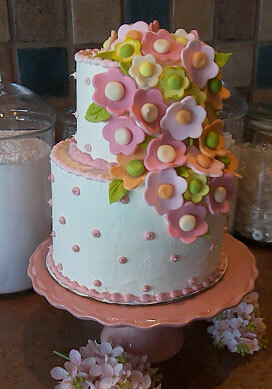 Decorated with fondant dots. Iced with buttercream. 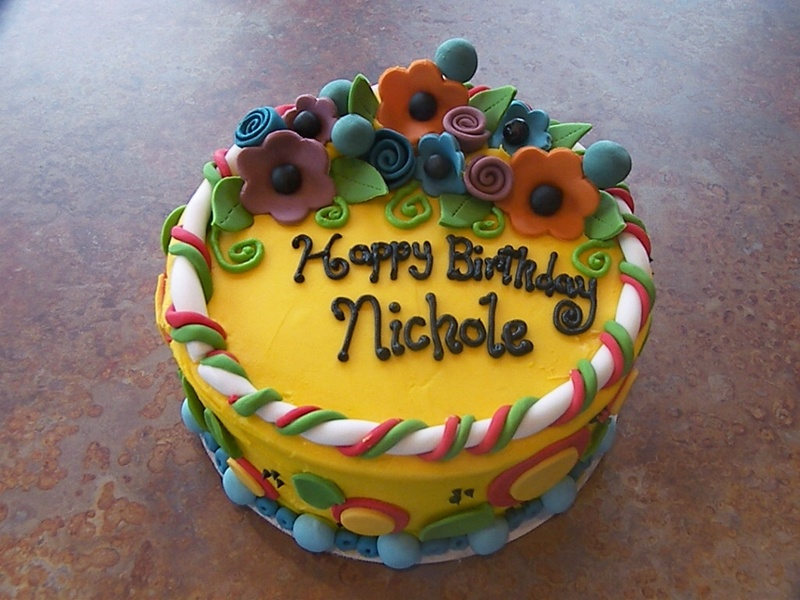 Decorated with food coloring hand painted fondant flowers and buttercream dots. Iced with buttercream. 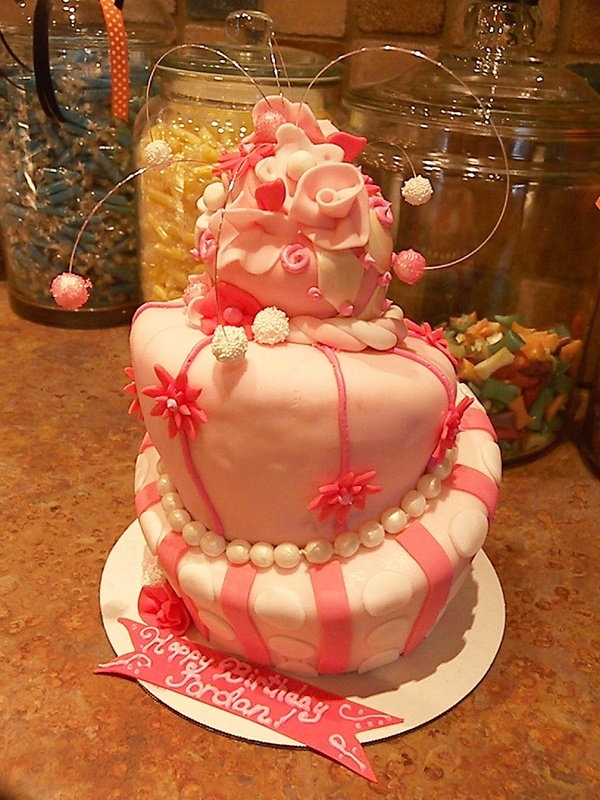 Decorated with fondant flowers and balls. Iced with buttercream. 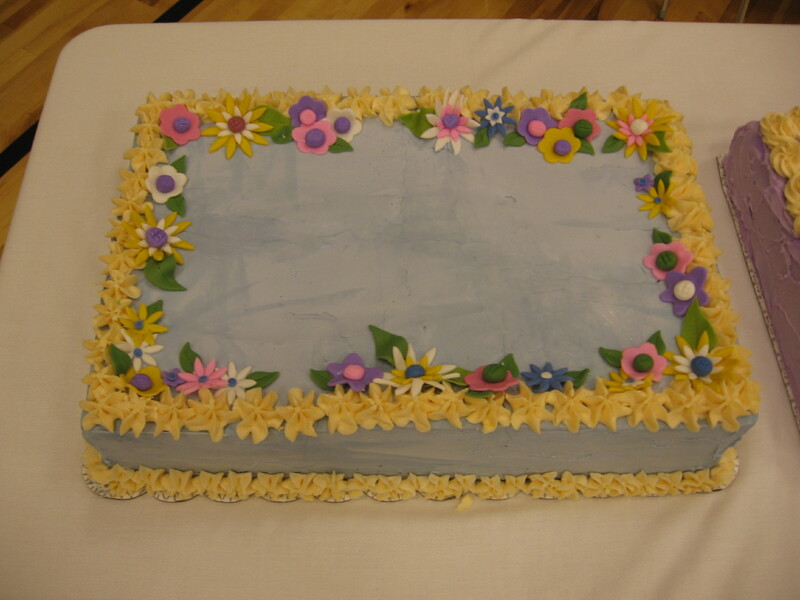 Decorated with fondant flowers and buttercream border .